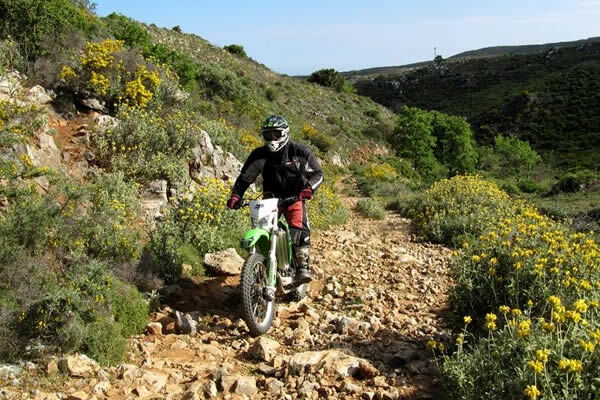 Motor Trails will try to guarantee the safety of the participants and limit the risk of accidents as much as it can. We offer good advice on the subject of protective clothing and oblige participants to adhere to this. We will also provide the best possible advice regarding driving in traffic. Finally, we try to match the level of difficulty of the off road routes as much as possible to the level of the participants. As the participants drive a vehicle themselves, Motor Trails cannot be held responsible for any accidents or for any material or physical damage resulting from any such accidents. We also assume no liability for the driving behavior of local road users who may cause an accident in which participants become involved. Participation in the motorcycle trip is therefore entirely at your own risk. In order to make this liability limitation as clear as possible, Motor Trails must be in possession of a signed 'own risk' statement before departure (see bottom of this page). As you are personally responsible for (the consequences of) your own driving behavior, we will not oblige you to drive routes or to overcome obstacles which you personally do not feel safe about. In this event, please make this known to the tour guide in situ. In consultation, if possible, an alternative route will be offered. 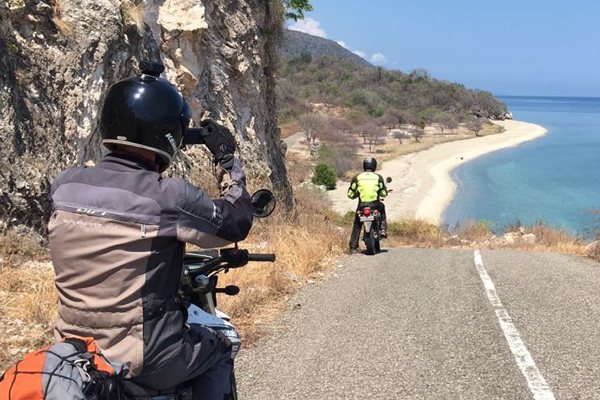 If, which is often the case, an alternative route is not available or if the interests of the group will suffer from it, the tour guide will suggest that you ride in the support vehicle. If you are dependent on medicines (such as insulin) or if you have certain limitations due to your health, you should inform the tour guide of this at the beginning of the trip. If you are not sure whether you can carry out the trip in a responsible manner with a certain illness or health problems, contact your doctor well before departure. Keep in mind that the journeys can be physically and mentally strenuous and that this can be reinforced if the weather conditions or other external factors influence the journey. We expect each participant to be well informed about the difficulty of the journey. You must declare that you are in sufficient good health to complete the trip successfully and without any problems (see bottom of this page). Motor Trails is not responsible for the consequences of your own health and physical condition during the trip. Of course, if possible we will assist you en route for long as possible, provided that the rest of the group does not suffer too much from this. Our trips are planned as much as possible in the most favorable season. Nothing, however, is as unpredictable as the weather. Especially in the areas where Motor Trails organizes trips, the weather is an important factor in the experience of the journey. The weather can force us to take alternative routes, to adapt the program or, in the event of a very bad weather forecast and in consultation with the participants, to end the trip prematurely. Natural disasters such as floods, earthquakes and volcanic eruptions can also strongly influence the course of the trip. In this event, Motor Trails will offer alternatives and put these into practice in consultation with the group. Motor Trails is not in any way liable, however, for the consequences of these external influences on the trip. In such cases, Clause 9.5 of the General Terms and Conditions will come into effect. "I declare that I have a sufficiently good physical and mental condition to complete the trip, and in case of doubt that I will consult my doctor. I will not hold the organization of the trip responsible in any way for accidents or damage during the journey resulting from insufficient physical and/or mental condition. My participation in this trip is therefore entirely at my own risk." If you would like more information about this statement or if its content is not entirely clear, please contact us.